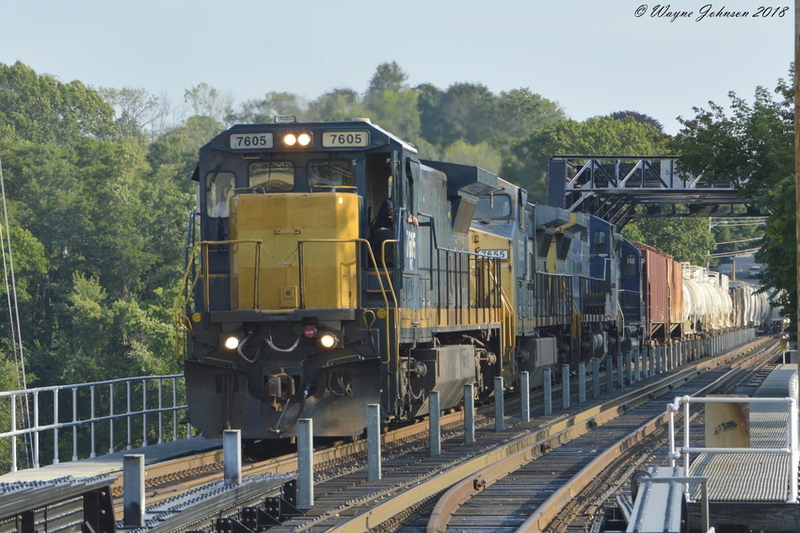 EDPO rolls East over the Merrimack River Bridge in Haverhill, MA with 7605-7655-7898-374. Photographed by Wayne Johnson, August 6, 2018. Added to the photo archive by Wayne Johnson, August 6, 2018.